Skier's Choice, manufacturer of SupraBoats @Supra_Boats hires highly experienced, Jon Allen, to work with Supra sales and support for dealers in the Southern Region. Skiers Choice is making decisive moves to build their team and further drive the Supra Boats momentum. 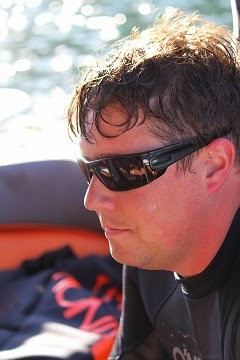 Jon Allen a young veteran of the marine industry, with over 13 years in the field and 15 years in Watersports. Allen became a boat dealer and started a pro shop, along with his parents in the fall of 2003. At the young age of 19 Allen wore several hats as General Manager, Sales, Pro shop, Service Technician and Marketing and any other job you can think of over the 10 years he and his family owned Diamond Lakes WaterSports currently located in Hot Springs, AR. In 2013 Allen went to work at Skiers Choice in customer service and became a Suprafreak in the fall of 2014. Living in Hendersonville TN, Allen will support Skier's Choice Southern Dealer Network with his extensive product knowledge and ability to work with dealers as partners. Allen is joining a passionate team at Skier's Choice who strive for continuous improvement. Allen is another difference-maker Skier's Choice is welcoming to the sales team.